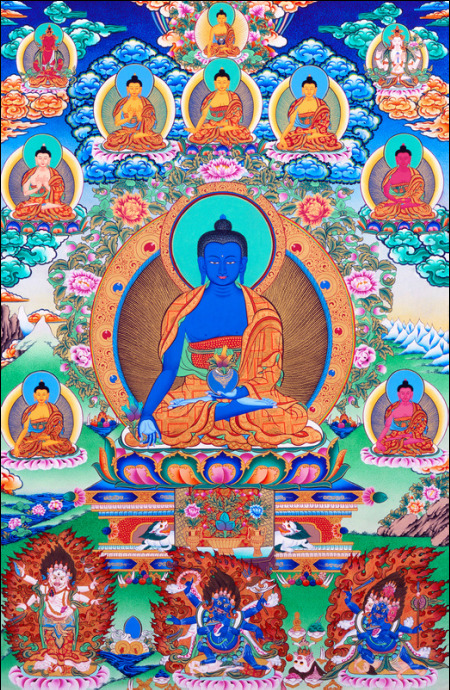 The seven Medicine Buddhas are not only very powerful in healing disease, but in purification, for both the living and the dead. The Medicine Buddha practice can purify even those who have already died and liberate them from suffering. It is also powerful in bringing success, both temporary and ultimate.